﻿ Chicago Hispanic Newspaper, Lawndale News, Hispanic Bilingual Newspapers, Su Noticiero Bilingue » Are You Addicted to Bad Financial Habits? April 19, 2019 9:31 pm You are here:Home Business Are You Addicted to Bad Financial Habits? 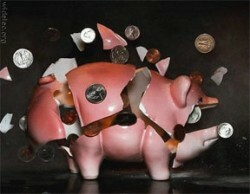 Posted by Editor on November 17, 2011 in Business | Comments Off on Are You Addicted to Bad Financial Habits? The Great American Smokeout on November 17th is a day dedicated to helping consumers overcome their addiction to the smoking habit. The nationwide event encourages people to put down their cigarettes in favor of a healthier lifestyle. The National Foundation for Credit Counseling (NFCC) also supports a healthy lifestyle, one which includes financial health. Since quick fixes are often habit-forming, the NFCC recommends evaluating the following behaviors, giving consideration to kicking your own financial addictions. On the surface, getting the cash you need may seem worth it at any cost. But it’s that cost and the addictive nature of seemingly easy money that can become financially back-breaking. To obtain a payday loan, you write a post-dated check for the amount of the loan plus any fees the lender tacks on. You then receive the amount of money you initially needed to borrow, promising to pay back that amount plus the fees. The term of the typical payday loan is one to two weeks, at which point the lender cashes your post-dated check. Most payday lenders will charge a certain dollar amount per $100 borrowed. For example, they may charge $15 for every $100 they loan you. Thus, if you needed $300 until your next paycheck arrived, your post-dated check would be for $345. What’s $45 when you desperately need $300? Here’s the catch…that $45 represents an Annual Percentage Rate of 390 percent. You wouldn’t dream of taking out any other type of loan with triple-digit interest. And, if this isn’t bad enough, many consumers cannot repay the loan at term, and end up rolling it over, thus adding on more fees and interest. People can do several things at pawn shops. They can borrow money by putting up something of value as collateral in exchange for cash, they can sell their merchandise outright, or they can buy the merchandise that is for sale at the shop. There are bargains at pawn shops, but only for those buying the merchandise, not for the sellers. Typically, the person pawning the merchandise receives a sum of money, which he or she agrees to repay with interest. If the loan is repaid by the end of the term, the merchandise is returned to the owner. If the loan is not repaid, the consumer can renew the loan, or the merchandise is forfeited. What’s the problem? Again, it’s the interest and fees, with APRs typically in the triple-digit range once all charges are included. Further, some studies have shown that only 60 percent of pawners end up reclaiming their merchandise, thus they have essentially sold an item for cents on the dollar, something they wouldn’t otherwise do. Everyone wants nice things, and if the family is coming over for the holidays, you may be tempted to spruce up your home. A quick trip to the furniture or electronics store could confirm that a new living room set and flat panel TV are out of your price range. Then you notice an ad for similar items with affordable monthly payments. It seems too good to be true, and guess what, it is. The problem once again lies in the interest and fees. For instance, if you bought a $200 item and agreed to make the seemingly affordable weekly payments of $15 for 78 weeks (basically one and one-half years), you’d end up paying $1,170 for that $200 item at an APR of 388 percent. Adding insult to injury, it is likely that you could have purchased the same item at a traditional store for a fraction of the overall cost. If you need assistance breaking your financial bad habits, reach out to an NFCC Member Agency where you’ll find legitimate help through a trained and certified credit counselor. To be automatically connected to the agency closest to you, dial (800) 388-2227, or to locate an agency online, go to www.DebtAdvice.org. For assistance in Spanish, dial (800) 682-9832.